For the repair of inguinal hernias using the Lichtenstein technique. 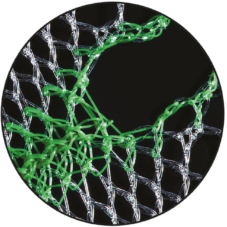 DynaMesh®-LICHTENSTEIN is designed for safe and time-saving surgical handling. 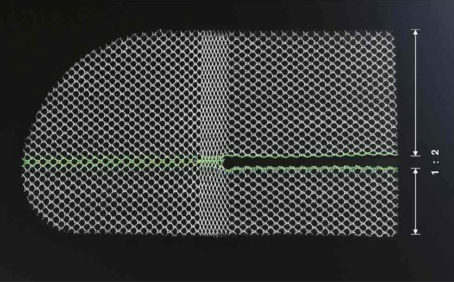 The elastic safety zone in the mesh, incorporated by using a special warp-knitting technique, makes it easier for the surgeon to achieve fold-free positioning of the implant. 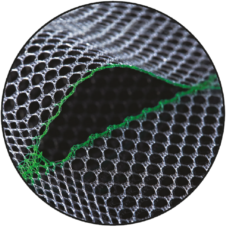 The newly constructed slit design makes for perfect tunnel modulation with optimal pressure distribution. This prevents spermatic cord stenosis and possible postoperative complications. 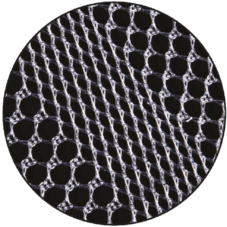 In addition, the high tear propagation resistance at the end-point of the slit prevents mesh ruptures from occurring. The atraumatic smooth selvedges in the slit reduce erosion formation on the spermatic cord .They decrease postoperative pain and enable the patient to resume normal activity sooner. Can be used in the left and right groin.